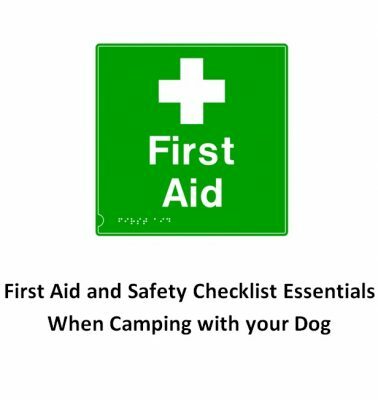 Last week we covered all the food and water essentials you should have when you are camping with your dog. This week we are going to cover all the safety and first aid essentials you should have on your checklist. This list may seem a little lengthy but once you have everything put together you can store it in a bag or container and have it ready to go all the time. You never know what kind of situation you or your dog will get into that could be potentially life threatening. A small cut could get infected and turn into a bigger problem. A safety kit could make all the difference if you can’t get medical attention right away. A muzzle or a cone will be handy if you are having trouble treating your dog’s wound without him/her getting upset. It will also prevent your dog from licking the wound after you treat it with any antibiotic medicine. Sprays may startle a dog so test the spray first. Cream is the next best option but dirt and bugs can get stuck to it out in the wilderness. Scissors always come in handy, but they are especially useful if you have to trim your dog’s hair away from a wound. They are also handy to cut gauze and bandages to the correct size. It’s important to have your dog’s vet records available in case you have to bring him for emergency help to a foreign veterinarian. 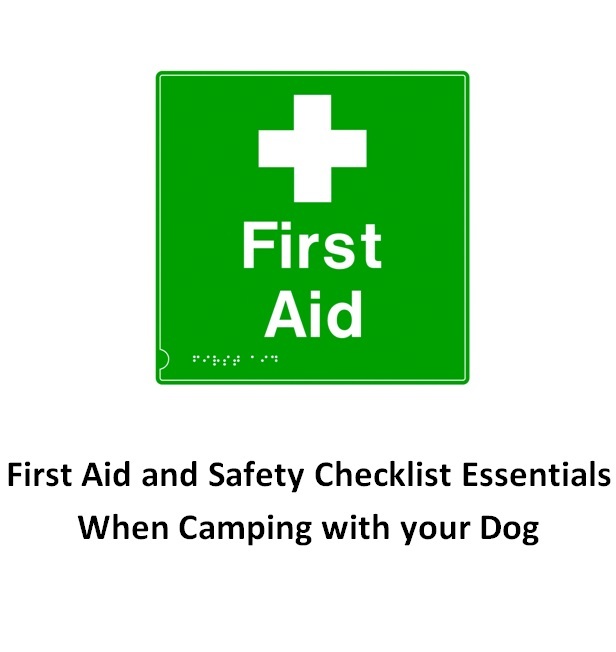 This covers all of the essentials on the safety and first aid checklist. Be sure to read our next blog which covers all the essentials on the hiking checklist!